Coaches now share the same news feed with managers and athletes from the same club. They also have access to their own widgets and smart shortcuts to get their work done faster. Coaches are now able to download their athlete and attendance reports and analyze them. We are going to add more reports about training diary and performance in the future. We also offer custom reports for individual clients. If you need your data in a specific format please contact our support via email (support@sportlyzer.com). Coaches using the Coach Diary or Android have also access to the News feed and have updated attendance record. Please update your Android Coach Diary app or download it from Google Play. PS: iPhone users will receive the News feed in the next update. Please be patient. Fixes regarding the latest invoicing update. We are going to keep our focus on coaches and the next steps will be improving the customisation of rights and what coaches are alowed to do in Sportlyzer. 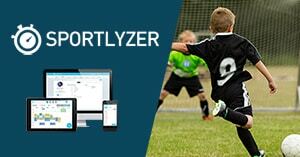 If you have any feedback or new ideas about how to improve Sportlyzer, please let us know and send a direct email to our product manager Silver Mikk (silver.mikk@sportlyzer.com).